A new edition of the Salon de Gourmet is coming and the company Nijareña Bio Sol Portocarrero comes with the objective to return to cause the pleasant impression that their products left in previous years. It is difficult to stand out in a fair where innovation and quality are a constant in each of the exhibitors that make it up, and Bio Sol Portocarrero got it thanks to its organic gluten-free salmon from Bioterraneo. 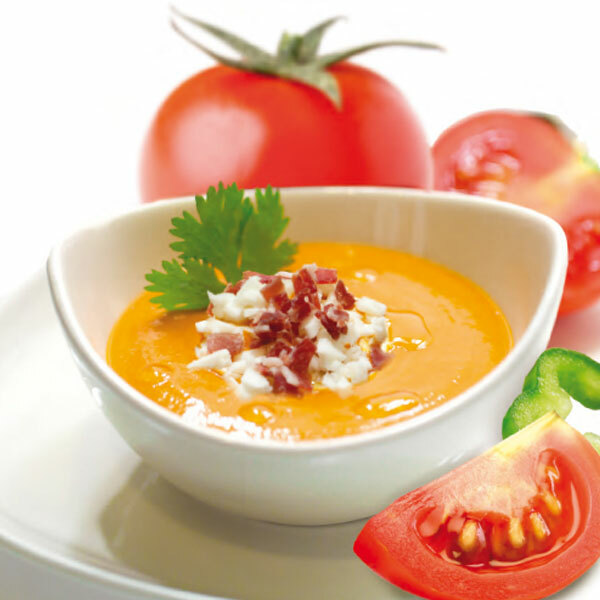 This product gave much to speak in the weeks after the Hall of Gourmets, and is that several publications at national and international level echoed the enormous quality of this salmorejo of the company Almeria. Framed within headlines such as “The star products in the largest delicatessen show in Europe” or “The novelties that surprised the Gourmet Hall”, this recipe continued to be known thanks to the impact it caused. Bio Sol Portocarrero is characterized by the use of organic products of its own making, choosing the best vegetables, which result in ecological products with high quality standards that called attention to the thousands of people who gathered in the last edition of the Salon de Gourmet. The Bioterraneo brand will be present again this year, from April 24 to 27, at this important fair, where Bio Sol Portocarrero will exhibit its range of Gourmet products composed of gazpacho, salmorejo and cherry tomato juice, as well as its product range Selection of Which is part of the oil and wine. Its stand will be located in hall 8 of IFEMA.